Born: 7 December 1885, Dryburn Alston, Cumberland, England. Died: 26 February 1917, Vlaanderen, Belgium. Harry J. Vipond, chemist, was educated at Pembroke College, University of Cambridge, and was awarded the degree Bachelor of Arts (BA) with a first class pass in the natural sciences. Subsequently he obtained the Diploma in Agriculture and was employed as a soil analyst at Rothamsted Agricultural Experiment Station at Harpenden, Hertfordshire, in connection with a soil survey of Surrey, Sussex, and Kent. In 1909 he was offered a three year contract appointment as assistant chemist and head of the Division of Chemistry in the Department of Agriculture of the Transvaal Colony, starting work in Pretoria in October that year. As head of the division he succeeded R.D. 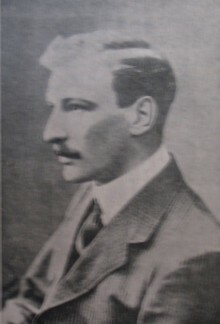 Watt*, who had served as acting head since the departure of H. Ingle* in 1908. During the next year or two Vipond published several articles in the Transvaal Agricultural Journal on " Analyses of soil from Zoutpansberg" "A problem in soil fertility", "Agricultural Lime", Manurial trials on maize", "Soil surveys", The valuation of artificial manure", "Co-operative manurial experiments", and three notes on bat's guano and other substances believed to be of manurial value (1909-1910, Vol. 8-9). In October 1912, at the end of his contract period, Vipond was promoted to chemist and head of the Division of Chemistry, Department of Agriculture of the Union of South Africa. Further articles by him, published in the Agricultural Journal of the Union of South Africa, dealt with "The availability of phosphoric acid in the soil" (1912, Vol. 2), "Weenen phosphates" (1913, Vol. 5) and "Manurial experiments on maize" (1912-1913, Vol. 2, 4 and 6). His main interest as a chemist was in soils and he introduced several improved methods of analysis. Among others his experiments showed that basic slag was an effective fertiliser for maize. Shortly after the outbreak of World War I (1914-1918) Vipont went to England on leave and enlisted in the Coldstream Guards. Despite the fact that his education could have ensured him a commission as officer, he enlisted as a private. A man of action but shy and retiring, he died in action in Belgium. His post was not filled during his absence, but after his death he was succeeded by B. de C. Marchand*. Vipond was a member of the South African Association of Analytical Chemists and in 1916 became a foundation member of the South African Biological Society. Agricultural Journal (Union of South Africa), 1912-1913, Vol. 1-6. Roll of honour: Harry James Vipond. The Bulletin of the South African Biological Society, May 1918, No. 1, pp. 1-2. Transvaal Agricultural Journal, 1909-1910, Vol. 8-9.